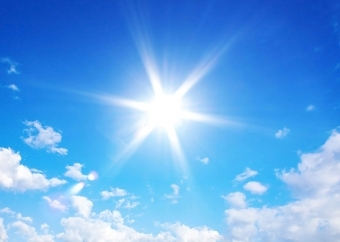 Niagara Health is urging residents to take caution in the sun and reduce their exposure to ultraviolet radiation. Skin cancer is the most common cancer in Canada, yet it is also one of the most preventable. About 80,000 cases of skin cancer are diagnosed in Canada each year, more than 6,000 of which are melanoma, the mostly deadly form of skin cancer. The most effective way to lower the risk of developing skin cancer is to reduce your exposure to ultraviolet radiation (UVR). You can enjoy yourself outside as long as you protect yourself from the sun. And it’s important to protect against UV rays throughout the year, not just in the summer. Check the UV index before going outside. When the UV index is 3 (moderate) or higher, wear protective clothing, sunglasses and sunscreen. Try to reduce sun exposure between 11 a.m. and 4 p.m., when the sun’s rays are strongest, or any time of the day when the UV index is 3 or more. If possible, plan outdoor activities before 11 a.m. or after 4 p.m. If you are concerned about sun protection before 11 a.m. or after 4 p.m., check the UV index for your city that day to see what times it is expected to be over 3. Be aware that exposure to UVR can occur through glass. Glass windows can filter ultraviolet B (UVB) rays, but ultraviolet A (UVA) rays can pass through ordinary untinted glass (such as a car windshield). Seek shade or create your own shade when outside, especially between 11 a.m. and 4 p.m. Be prepared to make your own shade by taking along an umbrella. Trees and hedges can provide excellent shade. How much shade will depend on the density and the type of plant. Cover your arms and legs. Wear loose-fitting and tightly woven clothing that protects exposed skin from the sun, such as long pants, long-sleeved shirts and long skirts. Sunscreen absorbs UV rays and prevents them from penetrating the skin. Sunscreens are available with a sun protection factor (SPF) ranging from 2 to at least 100. Use an SPF of 30 or higher, and if you work outdoors or are planning to be outside most of the day, use an SPF 30. Make sure the product offers both UVA and UVB protection (usually labelled “broad-spectrum”). If you’re in the water, make sure your sunscreen is water-resistant. More sun safety tips and information are available here.